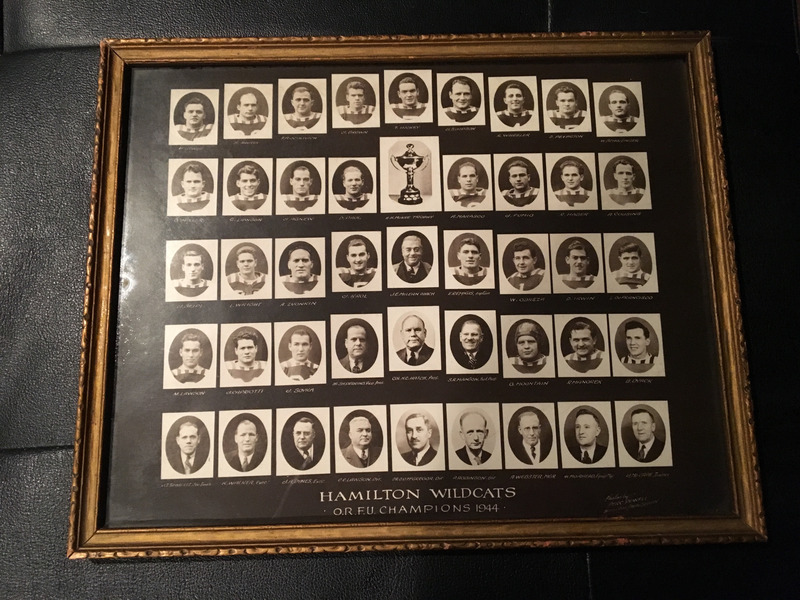 1944 Hamilton Wildcats photo in original studio frame. Featuring CFL Hall of Fame players, Jimmie Simpson and Joe "King" Krol, this all original photo remains in Mint condition and presents beautifully with its black background motif. 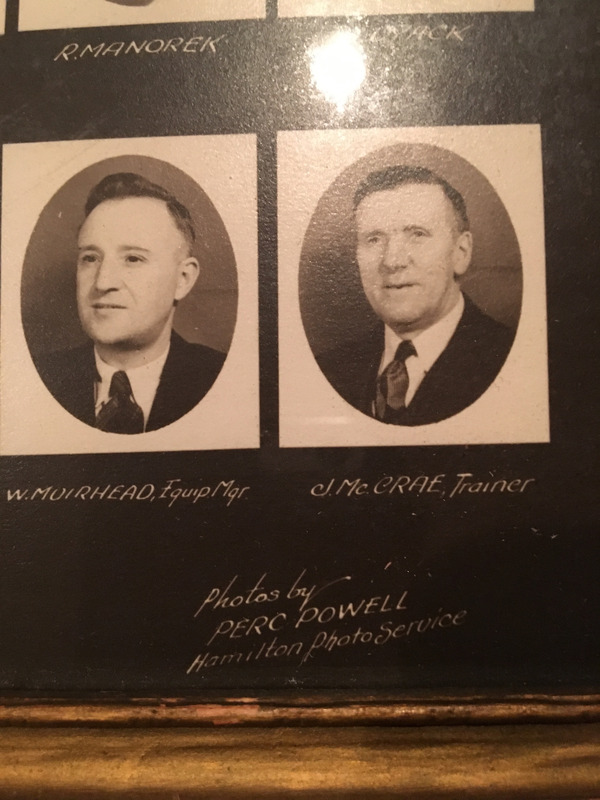 The Hamilton Tigers football club suspended operations in 1941 due to the World War II and the IRFU would do so from 1942-44 leaving many talented players to join the ORFU . They took on the name Hamilton Wildcats and led the team to two appearances in the Grey Cup Championship with one win coming in 1943. That team was known as the Hamiton "Flying" Wildcats. The photo is 13 X 10" with a nice original gilded narrow frame and glass attached. 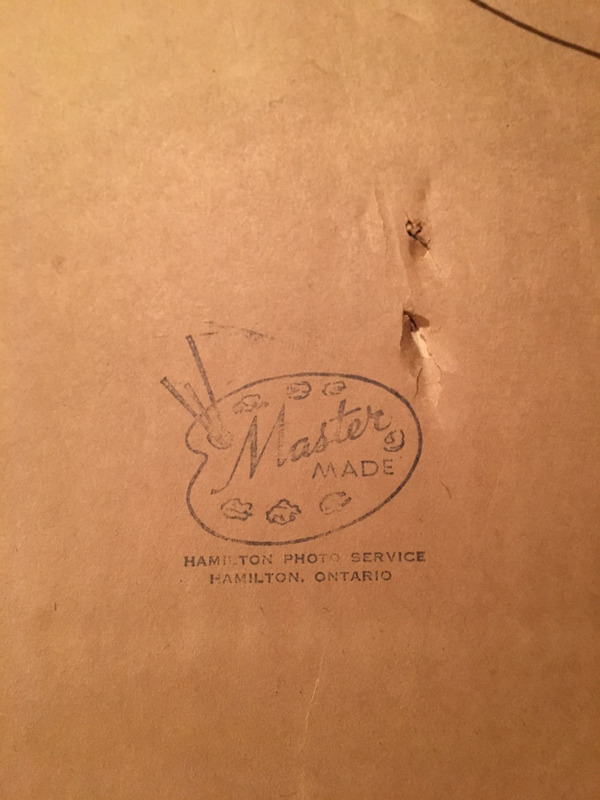 The studio mark of "Perc Powell Hamilton Photographer" resides in the bottom corner and the framer stamp of "Master Made Hamilton Photo Service" resides on the back paper.